This is an exciting opportunity to become an intern with an award winning arts Education Company. Now in its 12th year Artburst is an award winning social enterprise providing creative educational workshops that improve the lives of young people and their families. 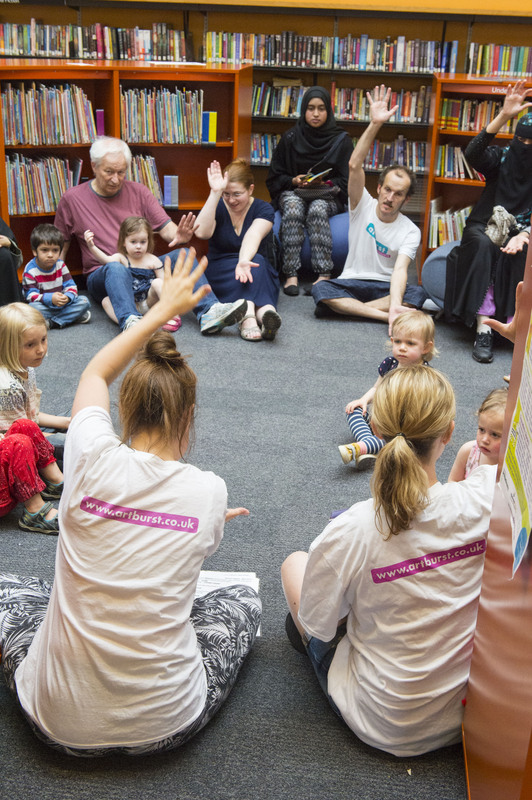 Artburst’s workshops integrate drama, art, music and movement, and our programmes are aimed at improving oracy and literacy skills, developing confidence and encouraging a passion for children’s literature. We are always looking for enthusiastic and creative Interns for part time positions, to support our small, core team in day-to-day operations. The ideal candidate would help us deliver our weekly satellite workshops, funded, and community projects in both the preparation stage and in workshop assistance. They would also play an important role in maintaining the smooth running of the office, and therefore must be proficient in Microsoft Office and have good written English. The opportunity to train as an Art and Drama facilitator will be available to those candidates who are committed, energetic and creative. The candidate should have previous experience of working with children of all ages, be self-motivated, organised and have a passion for arts and/or education. If you feel like you fit this job description then this is a great opportunity for you to widen your skill set, get amazing experience from an award-winning organisation and enhance your CV. Expenses to be paid at £10 per day. Please send your CV and a covering letter (max. 300 words) suggesting why you would be suitable for this position to rosie@artburst.co.uk. Please state whether you are able to commit to a full or part time internship. 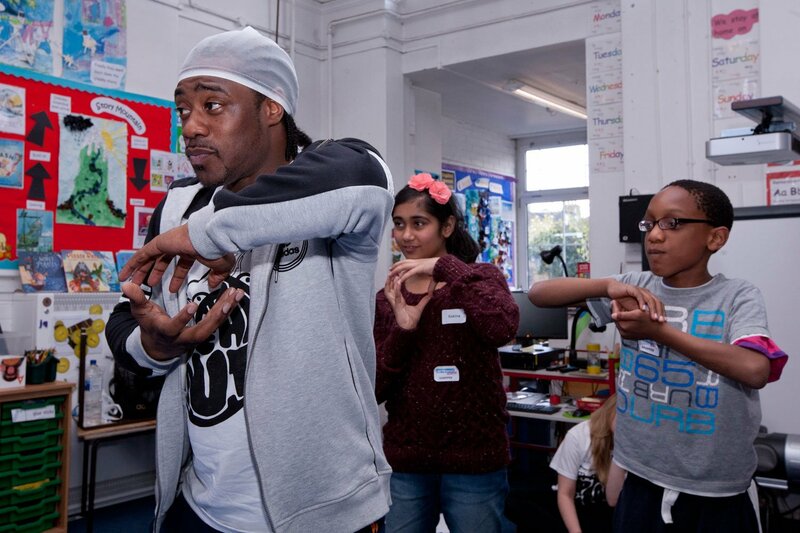 Artburst works with a huge range of freelance workshop leaders from arts, drama, dance and music backgrounds, as well as speech therapists and interns from universities such as Central School of Speech and Drama and the University of Westminster. We also host placements for Arts Apprentices through DiVA and work experience for secondary school students, in partnership with Hackney’s Inspire. We’re often looking for new talent to join our team, whether you be an experienced children’s workshop leader, or a newbie looking to get some experience working in a creative, exciting arts education environment! Please note, we get a huge number of enquiries, but just because you don’t hear from us doesn’t mean we’ve forgotten about you! We will keep you details on file until we’re next looking for volunteers or a workshop leader with your skills, after which you will usually be invited to come and meet a member of the Artburst team. Our Workshop Leaders usually come from an Arts or Drama background, but additional skills are very much encouraged! During workshops you will lead drama games, storytelling, writing scripts, directing and creating props, costumes and sets, supported by a co-facilitator. You may be required to devise your own activities based on a theme or classic children’s story, or you might be working to an existing Artburst workshop plan. All Workshop Leaders are expected to meet and plan sessions with their co-facilitator, as well packing materials, prepping for all sessions and attending any relevant training. Artburst Workshop Leaders are expected to have at least 2 years’ experience of delivering workshops with young people, with ideally a degree or professional qualification in your primary artform. If you are interested in submitting your details, please email info@artburst.co.uk with a copy of your CV and a short cover letter outlining your experience and any additional skills. We often host both short and long-term placements for interns, as well as opportunities for volunteering at workshops, festivals and events for those wishing to develop their experience in specific areas. Volunteer roles range from working in the office to assist with telephone bookings, create reward packs, manage art materials and prep for workshops to hands-on experience supporting Workshop Leaders and working directly with young people. We require all volunteers and staff to undergo CRB checks to Enhanced Level. If you are interested in volunteering or interning with Artburst, please email info@artburst.co.uk with a copy of your CV and a short covering letter.